Troy School District prepares students for change in code red protocol. This Tuesday, students had their first look at ALICE, the new active shooter response training that the school district has put in place. During third hour, students were presented a short training video showing the new procedure in case of a code red and were able to ask questions they had afterward. They watched the short video about situations where a shooter had entered the school and different methods to escape, counter the shooter, and lockdown if something similar was to happen. “ALICE” stands for alert, lockdown, inform, counter and evacuate. Although “counter” does not mean to fight, this means for students to, if possible, take away a weapon such as a gun from the shooter, or just prevent them from being able to shoot at all. Instead of the old response for a code red, having classrooms lock doors and hide in a corner, students and teachers are now encouraged to blockade doors, evacuate if possible, distract the shooter from shooting, and let others know. So far, approximately 4,200 school districts nationwide have switched to the new program. While some teachers have been officially ALICE trained, others watched a few videos to thoroughly understand the program. “I think it is much better suited than what we’ve done in the past,” Biology teacher Noelle Wald said. 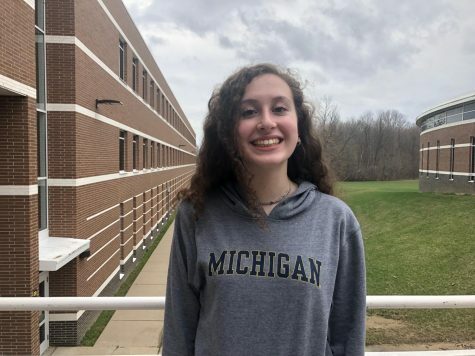 Leah Guindi is a sophomore and this is her first year on newspaper. She enjoys running, swimming and hiking.